(i) Full Members who were to enjoy full privileges of the Club upon payment of an annual subscription of one guinea. (ii) Country Members whose annual subscription was ten shillings and six pence, and who were not eligible to compete for prizes or to hold office, or to play in matches. (iii) Life Members, admitted on the payment of ten guineas. The press report of the Club’s First Annual Meeting indicates that members in the first year numbered fifty, but there is no evidence available to indicate the numbers in each of the above-mentioned categories. We still have upon the roll a number of gentlemen who never att­end and have kindly assisted the Club by paying subscriptions for which they have received no return except the honor of being associated with the Auburn Bowling Club … We anticipate that some 8 or 10 names now on the list will not appear again. Thus even in the earliest days of the Club’s existence uncertainty about the extent of income that could be raised from membership subscriptÂ­ions was evident and it is not surprising that attention was turned to other means of raising funds. In the years that have passed since 1899 the categories of membership have changed and the subscriptions attached to the categories varied. There does not appear to have been any particular principle that has been consistently applied in deciding the extent of such variations and at no time has the revenue from subscriptions been sufficient to meet anything in excess of normal operating expenses. The granting of a liquor licence to the Club in 1888 was an event of great significance. Reference has already been made to the fact that the additional income from “sale of refreshments” enabled the Committee to add an extra room to the pavilion. 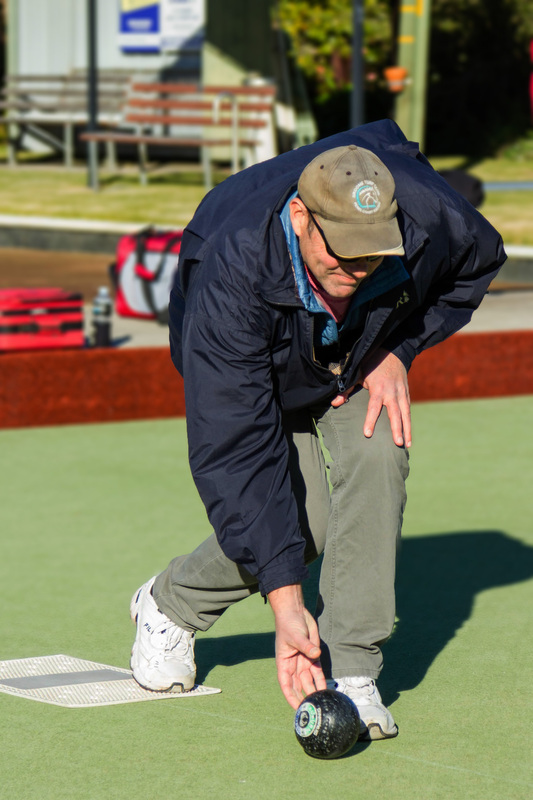 mainly through this means … the debt of the Auburn Bowling Club has become a thing of the past. The management of the bar has not been without problems. Strict business principles have not always been applied to such matters as staffing and fixing of prices, and often voluntary service in dispensing of drinks has been left to a few. At the Committee Meeting held on 4th July 1910.
a general discussion took place as to the advisability of closing up the bar so far as the sale of liquor is concerned, and raising the sub­scriptions for membership, but these matters were left for members to decide at the Annual Meeting. The minutes of the Annual Meeting, 20th August 1910, do not contain any reference to this matter and it is indeed fortunate that this proposal was not pursued further. Bar profits have been a significant element in the Club’s revenue and over many years enabled the members’ sub­scriptions to be kept at a low level. The revenue derived from this source together with debenture subscriptions have made possible the servicing of Joans secured to purchase land and develop the Club’s property. The mortgage loan secured from Mr. J. Hozer in 1901 to enable the initial purchase of land was extended in 1906 to three hundred pounds to enable payment due on the previous loan and of outstanding amounts on the billiard table which was seen at the time as an import­ant source of income. The mortgage was discharged in 1918, and a further loan secured at that time from A.H. Holzer. Part of the pro­ceeds of the sale of land in 1935 was used to repay the four hundred pounds borrowed and a clear title to the land was obtained. Mortgage loans to facilitate the purchase of property in Fletcher Street and the additions and alterations to the (pavilion) club house in the sixties were obtained from the E.S. & A. Bank Limited. By the 30th April 1967 the extent of the loan from this source was $12,242. The loan was fully repaid by 1980. The Club invested in War Bonds during the Second World War and in Commonwealth Treasury Bonds in the years immediately after. By 1958 the total invested was £1600. The liquidation of these bonds further assisted payment for development of the property. Enthusiasm displayed at meetings towards proposals to raise money through the issue of debentures has not been matched by action in response to requests to subscribe. The decision in 1953 to raise five thousand pounds by issue of debentures at an interest rate of four per cent was met with a poor response, only two thousand eight hundred and fifty pounds being subscribed by the end of the 1954-55 financial year. In 1957 the rate of interest was raised to five per cent and a better response was secured. However provision for the purchase of debent­ures by instalments suggested by G.C. Doig proved to be a very succ­essful innovation. Much work was done by that member and G. Dillon in collecting instalments and keeping the appropriate records. This work they continued to do throughout the sixties and in later years were aided in their labours by L. Willis. Only one attempt to raise revenue by the imposition of a levy is re­corded. This was made at a Special General Meeting on 18th June 1931 when a motion was put forward that a levy of one pound be made on all members of the Club. The motion was not put as the Chairman ruled that the Rules of the Club did not contain any provision of power to do so. Gifts from members in answer to appeals from Presidents have however at various times been significant.